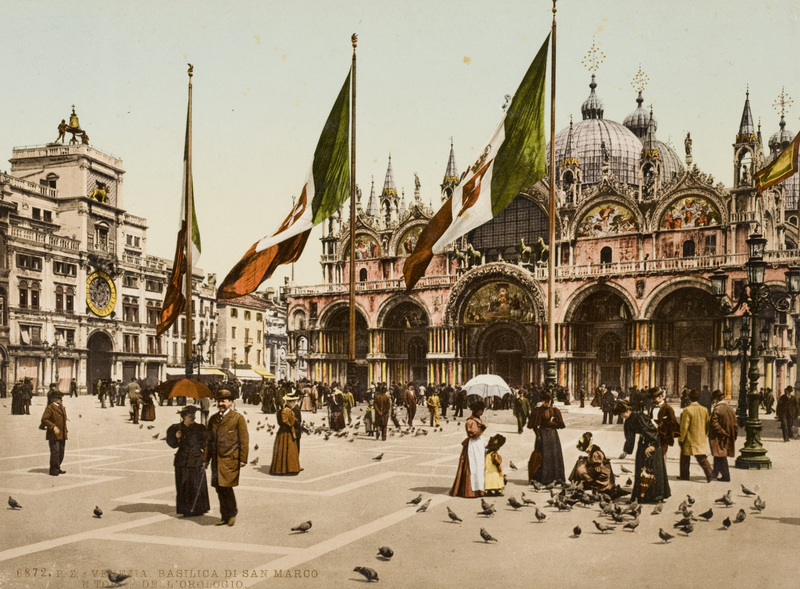 During the 19th century, greater ease of travel meant that tourists were arriving in Venice in increasing numbers. They were eager to take away souvenirs of their journeys to show friends and family at home, and to remember their travel experiences. 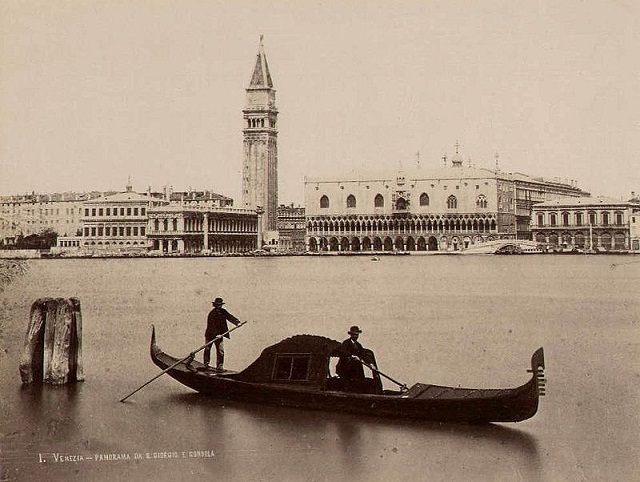 Since the birth of photography around 1840, a tradition of ‘view’ photographs of European scenes developed, concentrating on scenic landscapes and famous architectural sites. Photographer Carlo Naya owned one of the most successful photographic businesses in Venice, specializing in a large stock of negatives showing the city’s buildings, canals, monuments and canals. His shop in Piazza San Marco was one of two major photographic firms in Venice (the other was owned by Carlo Ponti, Naya’s former employer). I first became aware of Carlo Naya when the Historic Houses Trust in Sydney presented an exhibition in 1996 at the Museum of Sydney entitled Views of Abroad. The exhibition showcased photographic images from the collection of Rouse Hill House (founded 1813), and the Rouse family’s extensive collection of photographs acquired during their European tours undertaken in 1868-69, 1874-76 and 1878-88, including a series of exquisite prints by Carlo Naya. 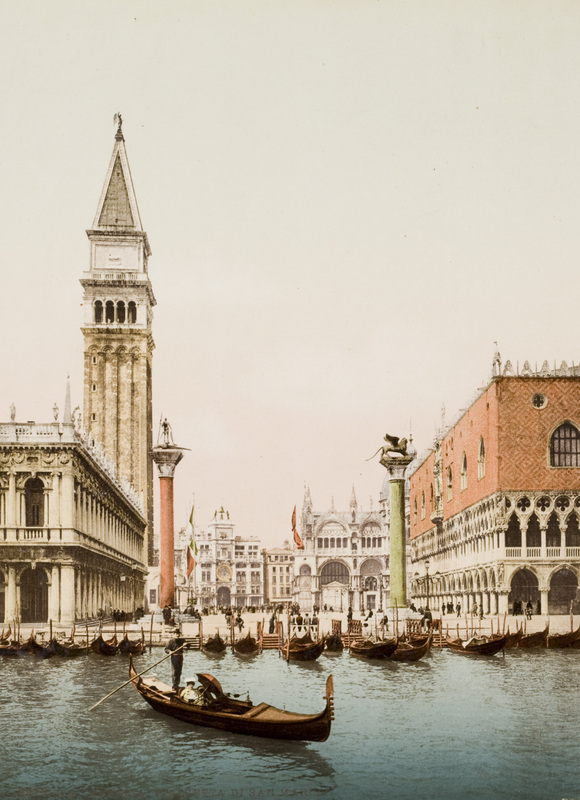 Some of Naya’s most famous images of Venice including the Basilica di San Marco (circa 1876) and View of the Piazetta from a gondola (circa 1876) were included in the exhibition. 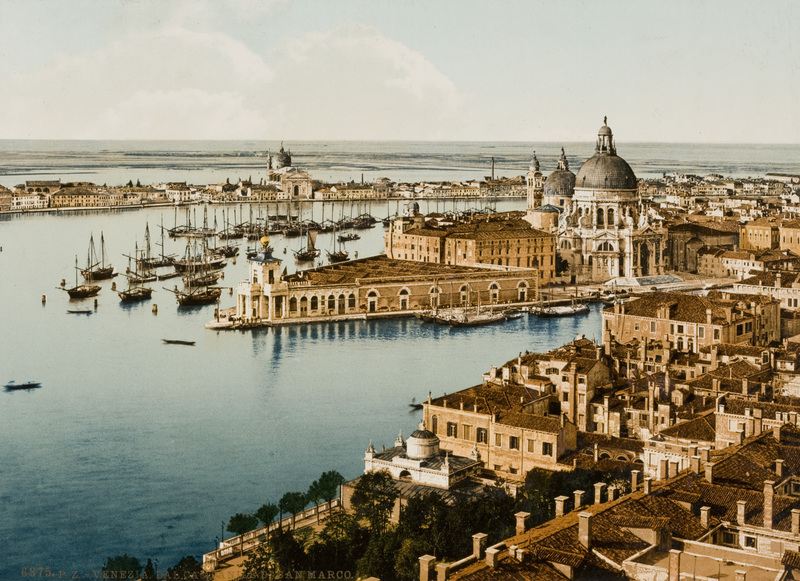 As one who has been living in Venice for 35 years, I am particularly involved in its problems and saddened for the decline of this beautiful city. Maybe my blog can be of some interest for you. Ciao! Thank you for letting me know about your blog and about your article. I'm looking forward to following you in the future. 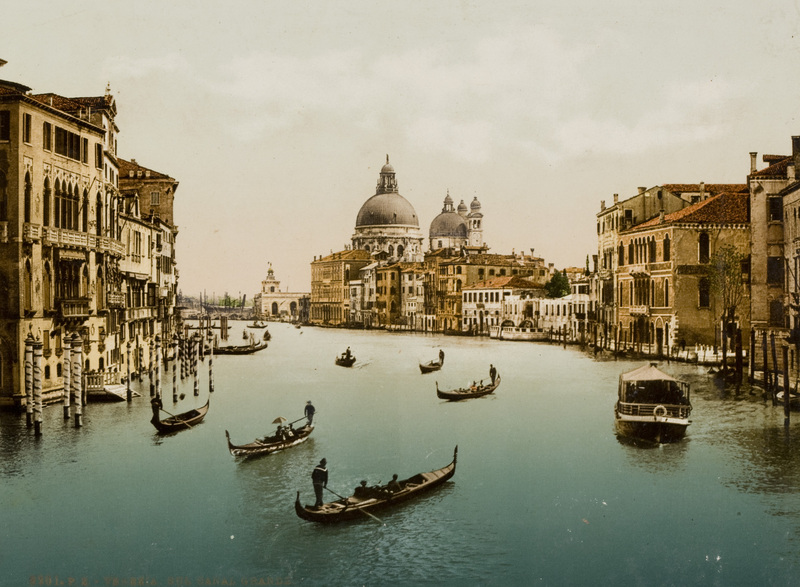 By coincidence I purchased only this week, a copy of this image from an English dealer via EBay, as my wife and I are in fact staying in Venice on 3rd and 4th July 2015 at Hotel Canal. Thanks for providing me with photographers name etc. I collect 19th images. Ps where could I replicate this image from whilst I am there?